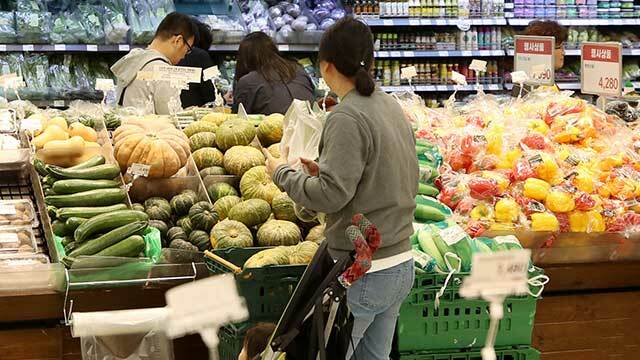 The Bank of Korea said Tuesday that South Korea's consumer prices increased nearly two percent last year, excluding public prices strictly controlled by the government. According to the bank, the country’s consumer price index increased by one-and-a-half percent in 2018, lower than the bank's inflation target of two percent. However, the central bank noted inflation could have reached nearly two percent if the numbers for the prices controlled by the government had been included. As part of its plan to offer public goods at reasonable rates, the government manages the prices of several key services, including public utilities and medical treatment. In addition, the government has kept public utility bills and public transportation rates nearly the same in recent years.